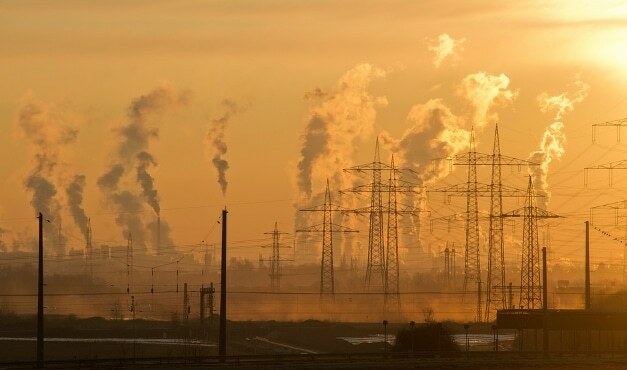 Human activities such as industrialization significantly contribute to greenhouse gases or carbon footprint emissions that in turn affect the environment. There are several causes of greenhouse gas emissions into the atmosphere, and the impacts of this scenario are widespread. Threats of global warming are real as witnessed by climate changes in different parts of the globe. Rising seas due to the impacts of global warming pose a threat to both human and animal habitats. Other challenges include droughts and floods in different parts of the globe, and these lead to loss of life. It does not matter that you are living in areas where there is little activity concerning the emission of greenhouse gasses. The effects of climate change are global hence everyone has a responsibility to play a part in minimizing carbon footprint. Thus, governments around the world should take a leading role in championing the cause of protecting the environment. Many countries acknowledge the existence of environmental challenges mainly caused by the emission of greenhouse gasses into the atmosphere. Governments in different parts of the world are not just watching the drama unfold without taking any action. Many governments have come up with different policies that aim to reduce the levels of greenhouse gas emissions, primarily by industries. Global warming is one of the main areas of focus by governments in different places. Vehicles, as well as manufacturing industries, contribute the highest percentage of greenhouse gas emissions into the atmosphere. The following is an outline of how different countries are reacting toward the issue of environment protection. In December 2015, different countries across the globe reached a landmark agreement to combat the issue of climate change. The Paris Agreement seeks among other things to encourage different countries to adopt investments that can sustain a low carbon future. The agreement requires all parties to take leading roles in promoting good practices that do not affect the environment. The deal aims to strengthen the global response to challenges of climate change due to emissions. The following highlights show the stance of different countries toward this initiative. In America, the Trump administration is bent on reversing its support to the climate change initiatives outlined by the Paris Agreement. The government feels that policy changes in response to the Paris can threaten its industrialization drive. However, some private sector entities are taking heed to reduce levels of the carbon footprint from their operations. Many big Fortune 500 corporations are taking a positive step toward reducing emissions in their operations to protect the environment. Large corporations are responsible for the most significant chunk of greenhouse gas emissions from their activities. Therefore, it is good for these corporations to lead by example. For example, Google hopes to use solar energy on its entire data centers across the world at the end of this year. Renewable energy does not contribute any carbon footprint, and this initiative is good for the country and environment at large. Many other large corporations also believe that climate change is real and they are playing their part to minimize emissions. A lot of organizations are moving towards adopting the use of 100% renewable energy in their operations. Wal-Mart, the world’s largest retailer, is another corporation that intends to lower its carbon footprint by 2025 significantly. Companies that produce thermal energy significantly contribute to the carbon footprint. In the US, these organizations are the largest emitters, but it also seems that they do not have clear public targets to reduce emissions. They are also not clear about shifting to renewable energy. The other challenge in the US is that the company’s disclosure of information about its emissions is voluntary. It becomes difficult for the responsible authorities to monitor the operations of different firms. The negative stance toward climate change initiative by the Trump admin is another drawback. Currently, the government in America is not doing much to curb global warming. The Canadian government is playing a leading role in promoting good practices that lead to the reduction of greenhouse gas emissions. The government says that climate change is real therefore it is committed to lead by example on this issue. It aims to reduce emissions by 80% from its operations by 2050. Canada’s greening initiative seeks to address some issues that can lead to sustainable and low emission-practices. The aim for the government is to meet its commitment to international climate change initiatives. The government believes that leadership starts at home so that it can also inspire private sector organizations to follow suit. The Federal government of Canada has set different benchmarks to achieve in its bid to lower greenhouse gas emissions. To support the Paris Agreement, the government also has the Pan-Canadian Framework on Clean Growth and Climate Change to promote sustainable development. The federal government has a comprehensive plan to implement measures aimed at reducing the impact of climate change. By the beginning in 2022, all new government buildings will have a net zero-carbon footprint to make sure that they do not contribute to emissions. Vehicles significantly contribute to greenhouse gas emissions and the government intends to purchase executive hybrid vehicles beginning 2018. The government also aims to ensure that its fleet will consist of about 80% cars with zero emission by 2030. On top of that, the government will also track emissions from air travel by its employees to promote other alternatives with low carbon emissions. The government also seeks to shadow prices on carbon to promote low carbon investments in real property. It will also track greenhouse gas emissions from all its leased facilities. All leases should also include sustainability standards together with improved energy by 2019. Fifteen government departments report their greenhouse emission goal, and there has been a reduction of 28% in carbon footprint. All these significant strides show that the government is committed to taking a leading role in reducing carbon footprint. 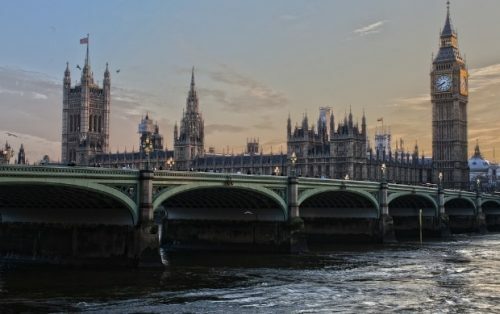 United Kingdom government is taking significant strides in trying to reduce its impact on the environment. It aims to lead by example hence it has various initiatives that it seek to fulfill to encourage other groups to emulate it. The government is primarily concerned about the issue of reducing the carbon footprint from its operations. The government also aims to reduce domestic flights by 30% to lower greenhouse gas emissions into the atmosphere. The frontline military flights are already operating above the above target, and they also wish to continue reducing their carbon footprint. The UK government also wishes to improve its waste management strategies. It aims to reduce the amount of waste disposed of while increasing the proportion of waste for recycling. It also aims to reduce paper use by 50% while at the same time promoting sustainable and efficient products. The government departments will report on their activities to achieve its goals to promote sustainable practices. All the government departments are expected to meet certain standards in their operations that aim to protect the environment. For instance, all departments should meet the buying and procurement standards of the government. The government is also concerned about reducing supply chain impacts so that it does not contribute to environmental degradation. All departments involved in procurement should measure as well as monitor their progress about lowering effect on the environment. Government departments also aim to promote transparency by publicly reporting their efforts for climate change adaptation. The departments will also report on the natural environment as well as sustainable construction. These entities are even supposed to report on any issues they consider being significant in reducing their carbon footprint. The government of Scotland is committed to being exemplary in reducing the level of greenhouse gas emissions through its departments. The issue of protecting the environment is a priority in this country, and it has comprehensive plans to address it. The government is the primary stakeholder in this initiative, and it also wishes to influence other organizations to follow suit. Currently, Scotland aims to achieve a 42% reduction in carbon footprint by 2020 and 80% for the same by 2050. Ultimately, the county intends to reach a 100% target to become the first country to achieve net-zero in the reduction of greenhouse gas emissions. The government expects action by all individuals and the business community to ensure that their activities are not harmful to the environment. It hopes to use the new Climate Change Bill to set a commitment to reduce environmental impact by 100% ultimately. Some stringent measures also come since the bill will be legally binding and covers every sector of the economy. The new bill will help all departments to report on their progress regarding the reduction of carbon footprint in their operations. All ministers are expected to review the net-zero target every five years constantly. They are also expected to publicly report their initiatives that are concerned about reducing the impact on the environment. The government of Scotland believes that protecting the environment is a moral obligation hence everyone should act. Protecting the environment also brings economic opportunities to everyone and the country at large. Following the Paris Agreement on Climate Change, Australia underscored to reduce its greenhouse gas emissions by 25-30% by 2030. There are many benefits of reducing carbon footprint, and many parties appear to be concerned about the issue. The use of renewable energy in Australia is gaining prominence and is also lowering environmental impact. However, Australia’s greenhouse gas emissions seem to continue to rise despite the initial policies for the reduction of the same. The expansion of gas exports mainly influences the increases in carbon footprint. It seems the government has abandoned its plans to lower emissions as reflected by its inactivity in implementing them. The country’s policy vacuum continues to drive the rate of greenhouse gas emissions upwards. For example, emissions increased by 1.3% in March 2018 exceeding the Paris Agreement targets of lowering carbon footprint. There are fears that Australia may not be able to achieve its 2030 goal to the lower carbon footprint. China is the world’s most populous country, and it is also the most significant contributor to greenhouse gasses into the atmosphere. About 70% of its power requirements come from coal-fired plants. The state requires massive investment and a shift to renewable energy to reduce its high levels of greenhouse gas emissions. Like other members of the Paris Agreement, China also seeks to reduce its greenhouse gas emissions by 4% by 2030. By considering its high level of greenhouse gas emissions, the country can do better by increasing its target to show commitment to the environment. The state alone produces more than a quarter of the globe’s total greenhouse emissions. The country’s alarming rate of emissions is a cause of concern locally and globally. 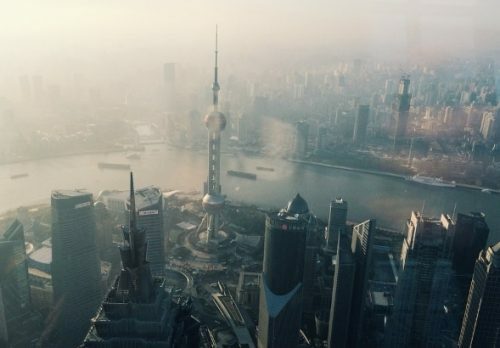 Following this outcry, China intends to reduce its emissions through a specific, ambitious plan. The plan involves creating a market strategy where power companies, in particular, will buy credits that enable them to emit greenhouse gases. The aim is to incentivize energy companies to invest in renewable energy. However, the envisaged emissions market does not cover the entire economy. It leaves out other sectors like cement factories, motor manufacturers as well as chemical complexes. The ambitious plan also has no fixed date, and its implementation is believed to be gradual. The issue of climate change is real, and many countries through the Paris Agreement are concerned about lowering their impact on the environment. 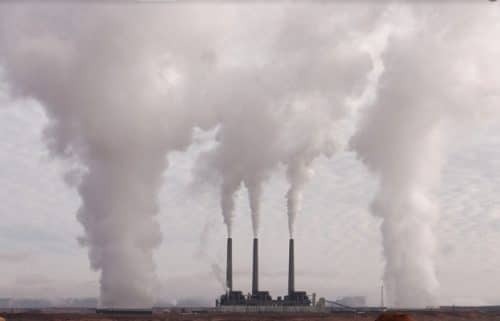 Global warming through excessive emissions of greenhouse gases causes climate change, and it negatively affects people in different ways. Many governments realize that human activities are the major causes of emissions and wish to act accordingly. After the Paris agreements, it seems many governments are taking heed of the need to protect the environment. However, there are some countries, America included that seem to prioritize their industrialization initiatives at the expense of the environment.